Fermus’ attacks had grown to be much more intense, but our Sword Lord Arts and detection-related skills allowed us to prevent ourselves from getting done in. They made it so we could somehow manage to dodge everything that came at us as we focused on concentrating our mana. There was no point in continuing with the strategy we’d been employing thus far; maintaining the status quo wouldn’t be to our benefit. The dragon hunter was more than capable of defending against any of our weaker attacks by simply deploying a barrier made of string. Every single thread he had was worth mention, as most had good magical conductivity stats. He could bolster both their durability and power even further through the acts of twisting them together and forming larger, more compact masses of thread. It was a near universal tactic that allowed him to deal with every single one of the attacks we’d thrown at him and more with ease. In other words, we had no choice but to attack him with something that would overcome his defenses with pure power, and pure power alone. I let loose all the magical energy I’d been compounding and poured it into a single spell. The attack I unleashed was one so difficult to control it rendered me unable to do anything else for its duration. It took me using Parallel Processing and concentrating as hard as I could just to keep myself from losing control of it. I couldn’t help but think that the difficulty that came with using Kanna Kamui was in fact justified given that it was the strongest lightning spell, the one we’d learned when the Lightning Magic skill finally hit level 10. It was a spell that the humans and individuals belonging to other, similar races could obtain should they train up their Lightning Magic skill. That said, I felt like it was something they would unlikely be able to put to practical use. Kanna Kamui simply ate too much mana and required too much processing power for that to be possible. Those that did manage to somehow gather enough magical energy to cast it would likely burn out their neurons the moment they tried. A roar, a feral but majestic warcry, resounded through the battlefield as a dragon-shaped bolt of white lightning descended from the sky and crashed into the arena. Fermus’ voice was tinged with a bit of panic. His prided barrier of threads was unable to hold against our attack and had started to char and give off an electrostatic discharge. I was a bit surprised that the dragon hunter’s defenses were able to hold, even for just a moment. But in the end, it didn’t matter. Kanna Kamui had done its job; it’d torn its way through Fermus’ barrier and made him vulnerable. He no longer had any means to ward off it or the black lightning that Fran immediately assaulted him with afterwards. The black and white lightning-based attacks melded together as they swallowed him whole. We were blown away by the resulting shockwave much in the same manner we had been back when we used the attack on Goldalfa. Fran ended up vomiting out blood because her back had smashed into the barrier set to protect the audience. I somehow managed to regain enough focus to teleport and relocate us up in the air above the arena. Black Lightning Advent wasn’t exactly what you could normally use in an area as small as the tourney’s arena, so we ended up damaging ourselves quite a bit. We tried looking down as we let ourselves freefall, but we weren’t able to gather any sort of meaningful intel. The barrier’s insides were filled with flashes of white and black as the two types of lightning raged through it. We’d actually considered hitting Goldalfa with the combination we’d just subjected Fermus to, but ended up setting the idea aside after deducing that it was way too suicidal a tactic to consider. There simply wasn’t enough space in the barrier for us to get away from our own attacks unscathed. Seeing Urushi retreat all the way out of the barrier when we fought Goldalfa had actually inspired me to do the same, so I checked the rules, and confirmed that we wouldn’t be disqualified for being out of bounds so long as our feet didn’t touch the ground outside the arena. Escaping from the barrier actually allowed us to use it as a shield. The barrier had started to swell up. Bolts of electrical energy had started leaking out from its interior. It looked like things were about to start going south. I opened a distortion in space time with one end in the barrier, and the other end out. The electrical energies within the barrier immediately began flowing through the newfound exit with an incredible force. But not even that was enough to stop the barrier from swelling up even further. It kinda seemed like the rate at which it was swelling had decreased, but I wasn’t too sure because it was still growing larger, and at a similar pace to boot. The sound of an explosion nearly ruptured our eardrums as the barrier burst. A sudden windstorm assaulted the audience and pushed every single one of its members into their seats. It was a veritable pandemonium of screams and cries. Fortunately, the barrier’s top was what had broken first, so all the lightning had ended up getting discharged towards the sky as opposed to crashing into the audience and wounding its members. Likewise, most of the swirling winds had also shot themselves directly upwards, so the audience had only been hit by the residual energy that followed. That said, it still contained enough force to send a child soaring through the skies. I later learned that the lightning had ended up taking the form of a tree made out of light as it was ejected from the arena, one that reached all the way up to the heavens themselves. The barrier repaired itself after a few seconds passed. Fortunately, it didn’t look like the rubble that’d been ejected together with the lightning had done any major damage. She and I were both aware we kinda forgot the circumstances and went a bit overboard. By almost out, I meant that I didn’t have anything more than just a sliver remaining. I didn’t have enough to to allow us a slow landing. It simply wasn’t an option. The same went for Fran as well. She’d already dispelled her awakened status because she didn’t have the mana to maintain it any longer. I scrounged up everything I had and managed to dampen the force of the impact just enough for Fran to land atop the newly reformed barrier that enshrouded the arena. He can’t be alive after all that, can he? The stage had been completely obliterated. Not a trace of it remained. Most of the dirt that filled the place had been outright deleted. All we had beneath us was a single, massive crater with its deepest part 20 meters below what used to be ground level. The arena looked much like the arena in Dr*gon Ball had after Tien blew it up with his Tri-Beam. The audience was stunned, but the caster managed to calm its members down by doing her job and describing the situation. We’d given the audience a bit of a shock. Some people were crying. Others were completely spaced out. There was even a group that’d started attempting to escape the colosseum. Regardless of exactly what it was they were doing, it was clear that most people were panicking. Hearing the caster describe the situation in the same manner she always would caused them to regain their bearings. A huge cheer emerged from the crowd as the caster declared Fran’s victory. I couldn’t help but question how the spectators were as calm and willing to cheer for us as they were considering that a fair number of them had seemed to have thought that Fran had just brought them to death’s door — not that I was complaining. If anything, I was glad they didn’t end up being terrified of us. It seemed most of them had even ended up enjoying what we’d done as they would have a thrilling roller coaster. Urushi responded to Fran’s summon almost immediately. He hadn’t really had any chances to help out or even join in during the match, so he was totally pumped and motivated to at least be of use as a means of transport. Fran got on top of him and had him carry her off the barrier. Seeing Fran straddle and ride the giant flying wolf made the crowd’s cheers grow even louder. The support bolstered Urushi’s mood and caused him to decide to do a full circle around the arena, which in turn prompted the audience to cheer with even more vigour. I had to admit, the scene of him parading around with everyone cheering did have a bit of a picturesque feel to it. Her actions caused the crowd to once again let loose an incredibly loud cheer. Her departure from the stage almost seemed to resemble an idol’s. The reception she got really was quite similar to the type idols would get. If I had to pinpoint a reason, I’d say it was probably because of how cute she was. That said, I wasn’t about to let her become anyone’s little sister. Wait a second. How the hell are we supposed to get off the stage if there… isn’t a stage? I mean, I knew we were kinda the people responsible for blowing it up in the first place, but like, still, what do? No, not the girl from Maidragon. It’s a reference to Ainu mythology. Kanna Kamui is the God of Lightning, and I believe the #1 god. I’m not too well versed in Ainu mythology myself, so this is literally me reading Japanese wikipedia and giving you a tl;dr.
 Caster was revealed to (probably) be a girl based on how she talks at this point point in time. Amanda probably thinking she is damn glad she finished the fight fast before Fran decided to use it. Thank you for the chapter. That was a good finale. I enjoyed this final fight. If one OP lightning attack doesn’t work, use two? fran’s cuteness conquers all!~ which altier game are you playing? never played one before, how in depth is the crafting system? Playing the one that just came out on the switch. It’s got a good few layers of depth, but a good chunk of the time consumption just comes from getting the right materials. It’s my first atelier game as well, so I can’t really tell you if any of the other games in the series would be a better introduction. You can jump into the game quite well, however the difficulty will increase after a while when you are new to the series. The story in the previous game has little to no affect in regards to the story, other than recurring character from previous game. Fran used Blasted Tree XD from Fate/Apo ! Caster announced what Cradle of Time was activated and Fermus being revived. so its confirmed. Missed. Only update I made to this part was capitalizing it. No words. None. At this point, I might actually have forgotten my own name from the excitement and sheer epicness. Twisting individual threads makes a string first. What came to my mind while reading was “skein”. I do have a feeling Amanda will lose the championship match, but happy this arc is over. Can’t wait for Sworddad’s time to shine when they meet the blacksmith. I really want a delayed activation spell now…. Fran summons a spell. A small, black orb of pure energy in her hand. The air around her slowly starts to crackle with energy. Just sparks here and there. And then, BOOM. The orb devours anything…. I don’t think the first and second place would have made it if Fran used that against them. Hell, Fran almost didn’t make it. That was an AOE spell, not something you would normally use in a limited arena. 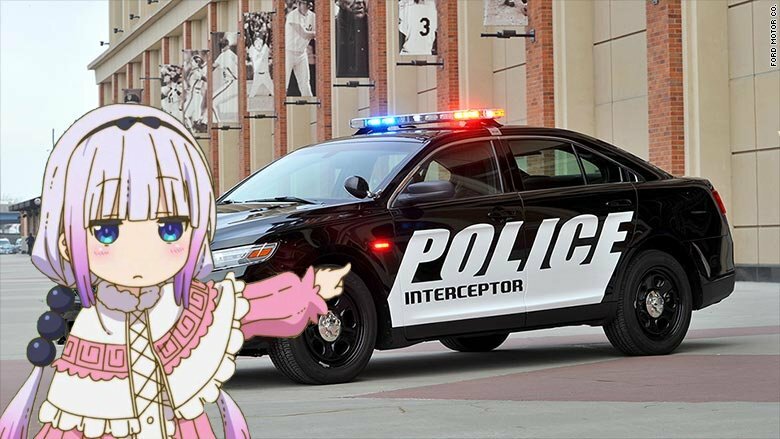 Ravioli ravioli dont lews the dragon loli. Never would i thought that name is supposed to be some fearsome thunder dragon incarnation. “for them to actualize it in a practical manner” -> “actually use”? What!? after all this time turn out the broadcaster is a girl!? Nearly killed all the audience, didn’t say so much as an “oops”. I had been fooled so much that I kept hearing (imagining) a middle-aged man’s voice for the announcer from the very beginning of the tourny until now, yet it was a girl. I expected him to reflect lightning so that ‘d be the cause for barrier’s destruction,you know there is earth down below and actually want Shisou to use some brain kinda action “why the hell lightning reflected it is earth down below o.O” then action continue…. As spectacular as her finishingmoves are, they also prove how weak Fran really still is. She as the poweroutput of a nuke but the finesse of a wrecking ball unable to control minute movements. If she were a superhero, she would be one that would kill thousands of people as collateral just to beat one supervillain. Techniques like that are only an option because it is a tournament protected by a barrier and not applyable in parties at all much less to protect someone up close. As long as she cannot beat her opponents without wrecking the whole area around without the excessenergy redirected only at her target, she cannot be considered to be truly strong. The other strong adventures were able to beat each other without that much fuss, goes to show that she still has much to learn.